One Republican mandate repeal bill could extend subsidies through mid-2017. (Bloomberg) — Several Republican senators said they would support legislation to ensure Americans don’t lose health insurance subsidies if the Supreme Court rules that the funds are no longer available in more than half the United States. Republican senators who attended a closed-door meeting on Wednesday, intended to discuss a legislative response to the upcoming ruling, said they hadn’t reached a consensus. House Republicans also were attending a briefing in their chamber. The Senate’s second-ranking Republican, John Cornyn of Texas, said he would support continuing the subsidies, to make sure that insurance coverage doesn’t lapse among the more than 6 million people in states that would be affected by a ruling. The court will rule this month on King v. Burwell (Case Number 14-114), a case brought by opponents of the Patient Protection and Affordable Care Act (PPACA) who have challenged billions of dollars in tax credits that discount the price of health insurance under the law. They maintain that the law limits subsidies only to states that have established health insurance marketplaces, called exchanges. Thirty-four states rely on the federal HealthCare.gov system instead. A key question is exactly what Republicans, now in control of both chambers of Congress, would offer as an alternative to coverage under PPACA, and how Americans would transition to that system. Sen. Ron Johnson of Wisconsin, S. 1016, has introduced a bill that would extend subsidies into mid-2017, although it would repeal PPACA’s requirement that most people carry insurance. The White House has said that bill and similar measures would undermine the health care law. Rep. Paul Ryan of Wisconsin, the chairman of the Ways and Means Committee, is leading the discussion Wednesday afternoon for Republicans in the House. South Carolina Sen. Lindsey Graham, a 2016 presidential contender, said most Republicans — himself included — support some sort of subsidy extension, most likely through the end of 2017. That time frame would “give people a chance to transition to another system,” Graham said. Another White House aspirant — Texas Sen. Ted Cruz — is opposed. 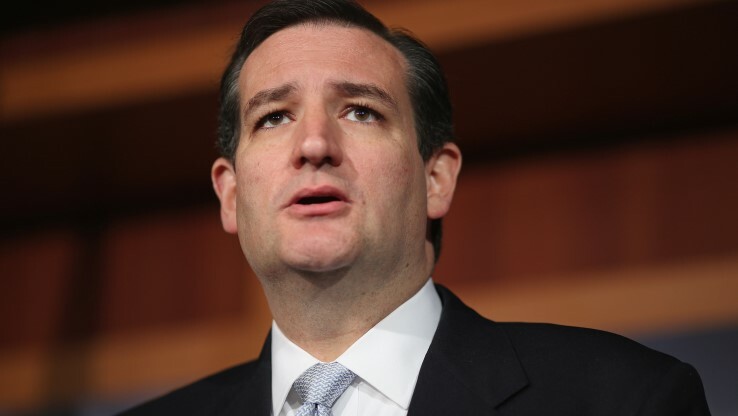 “I do not believe we should extend subsidies,” Cruz told reporters after the Senate meeting. He led a protest against spending to enact PPACA that led to a 16-day partial government shutdown in 2013. “I think the proper answer is to allow states to opt out,” he said. Republican congressional leaders including Ryan have declined to offer details of their response to a possible Supreme Court ruling against the subsidies. “It appears that they’re waiting until we get the Supreme Court decision, King v. Burwell, before they roll out something tangible,” said Rep. Bill Flores of Texas, chairman of the Republican Study Committee of about 170 House conservatives.